"This landmark decision covers Y90 SIRT with glass or resin microspheres and gives UK clinicians and patients increased access to loco-regional treatments from the metastatic colorectal cancer (mCRC) "toolbox" as described by the European Society for Medical Oncology (ESMO) in their mCRC treatment guidelines2," said Rachel Duggan, Country Sales Manager, UK & Ireland. "Another option in that toolbox, TACE with Drug-Eluting Beads (DEBIRI with DC Bead®), is already funded in the UK." BTG offers comprehensive training and service support to centers wishing to initiate SIRT and/or DEBIRI programs, including the clinical rationale, patient selection, and access to funding. 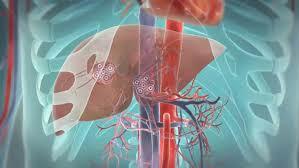 TheraSphere® is a targeted therapy that consists of millions of glass microspheres containing radioactive yttrium-90. The microspheres are delivered directly to liver tumors through the hepatic artery via catheter and become permanently lodged there. Because the procedure delivers the treatment directly to the liver tumor, the radiation destroys the tumor cells with minimal impact to the surrounding healthy liver tissue. The microspheres continue to deliver radiation to the tumor over the course of several weeks after treatment. Over 20,000 patients worldwide have been treated with TheraSphere®. For full instructions for use and important safety information, please visit www.therasphere.com. DC Bead® is a drug-eluting bead with CE Mark approval for loading with doxorubicin or irinotecan, providing an effective standardised liver-directed therapy for primary and metastatic liver cancer. With more than ten years' clinical experience, extensive peer-review evidence supports the benefits offered by the unique chemistry of DC Bead®. In intermediate HCC, these benefits include improved tolerability and tumor response versus cTACE and high rates of five-year survival.3-7 In metastatic colorectal cancer patients, DC Bead® has been shown to offer improved survival and enhanced quality of life versus systemic chemotherapy alone.8 For instructions for use and important safety information, please visit: dcbead.com. NHS England expands locoregional RT treatment options for metastatic colorectal cancer patients. Appl Rad Oncol.